An interesting feature of Kyotokei is you can change you shield color from blue to red with rather interesting results,you see each enemy shoots either red or blue shots depending on what color the enemy is and your shield protects you from all shots that are the same color as your shield is at the time! Be careful though as bosses shoot both red and blue shots! This game is also fairly hard so you'll likely have to play several times to reach the end since you only have 3 continues on the easiest difficulty level. The graphics in Kyotokei are quite beautiful,however seeing flying priests,floating witches among other weird enemies makes the game seem a little more like a Kirby game in terms of being overly cute,strangly however it seems to work! The background graphics are really nicely detailed and have an animé feel to them. The music is basic fantasy style music that may not be memorable but still works perfectly with the game's fantasy theme! Kyotokei is a great shmup for the WiiWare that has great gameplay that will be challenging,terrific graphics,and fitting music,and best of all is only 500 points! I would suggest this game to any shmup fan,and though it may be somewhat difficult to those new to shmups it is one of the best games to start out with,as the easy mode is definitely manageable for those new to the genre! WOW Rukiafan ! your way of reviewing has improved a little ! nice job ! The game sound very good ! so I'll see what I'll do to get it ! 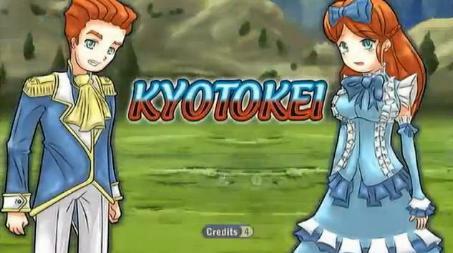 Microforum isn't known for making good games thankfully Kyotokei is an exception! I think 3D Pixel Racing is pretty damn awesome. I guess you didn't care for it, huh MetroidBlaster? This is such a fun game that most people refuse to download because of its artistic style.